In this economy, many people are job searching, which can be expensive. Between paying for resume quality paper, mailing out resumes and traveling to interviews, the search for a job can cost you quite a bit during a time when you can least afford it. Whether you have been laid off or are simply looking for a new job, if you have job-search related expenses, you may be able to qualify for a tax deduction. (Just make sure you keep those receipts!) However, make sure you meet the requirements first. And always remember to read articles like the lig program review, which is a great program that helps those seeking for a job, giving them all the tools they need to find the job of their dreams. You must be searching for a job in the same field as the job you left. If you are changing careers and searching for a job in another field, you do not qualify for the deduction. This cannot be your first job. First-time job searches do not qualify for the deduction. There must not be a substantial amount of time between when the last job ended and the new job search began. If there is a substantial amount of time, you do not qualify for the deduction. How Much Will the Deduction Be? You can deduct any job related expenses over the amount of 2% of your adjusted gross income. For instance, if your adjusted gross income is $50,000, you will be able to deduct job related expenses that are higher than $1,000. So if you have $1,600 in job related expenses during the year, you will be able to deduct $600 of those expenses. -preparing and mailing your resume. -traveling to search for a job or interview. (To deduct this expense, the trip must have been primarily for job seeking, and the amount of time for personal activities must be limited.) Only those expenses specifically related to the job search may be deducted. For instance, you can claim transportation, hotel, and food if you had to stay overnight. 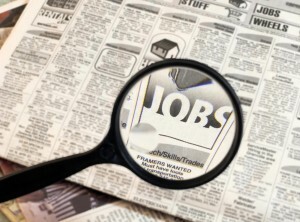 -paying employment and outplacement agency fees while you look for a job. However, if your employer later reimburses you for these fees, you must include the amount as gross income in your next tax return. Use Schedule A to determine your deduction. For additional information, see Publication 529, Miscellaneous Deductions. Searching for a job can be expensive, especially when the job search lasts for months or you are looking to relocate across the country. The IRS tries to help by allowing designated expenses to qualify as deductions. Unfortunately, many people aren’t aware of this important deduction, or they don’t save receipts to prove they had qualifying expenses. Don’t be one of those people; take advantage of this valuable tax deduction to save money when job hunting.